A guide to some of the most historical and picturesque castles in England for romantics and Anglophiles alike. Castles have shaped England. For almost one thousand years, castles have been the settings of siege and battle, dens of plotting and intrigue, and refuges for troubled kings. Today, the romantic yet ruinous shapes of once grand fortresses stud the English countrysidea reminder of turbulent times past. 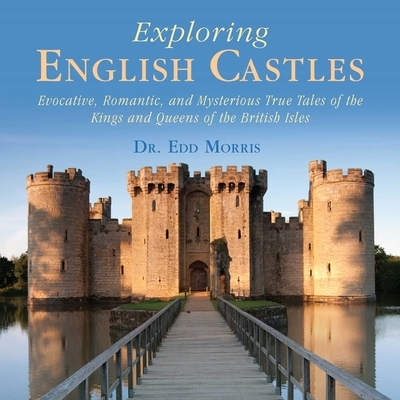 Exploring English Castles provides readers with a breathtaking tour through the grandest castles of England. It brings ruins to life through true stories of royalty, chivalry, deception, and intrigue, played out within formerly majestic walls. Uncover the secret of Bodiam Castle, Sussexa fortress seemingly from a fairy tale, built for a knight returning from the Hundred Years’ War. Discover how Mary Tudor, first queen of England, took refuge in Framlingham Castle, Suffolk, overturning a wily plot to deny her the throne. Unearth a delicate love story between Queen Elizabeth I and Robert Dudley, which unfolds against the genteel backdrop of Kenilworth Castle, Warwickshire. Filled with evocative photographs, awe-inspiring historical tales, and gentle humor, Exploring English Castles will delight any armchair historian, travel aficionado, or fan of historical fiction. Dr. Edd Morris is a British writer who was born in rural England. His website, exploring-castles.com, is one of the web’s favorite destinations about castles, entertaining more than a third of a million individuals every year. He resides in London, England.